​Inter striker Mauro Icardi has been voted as the best player in Serie A for 2017/18 by the Italian Players Association. 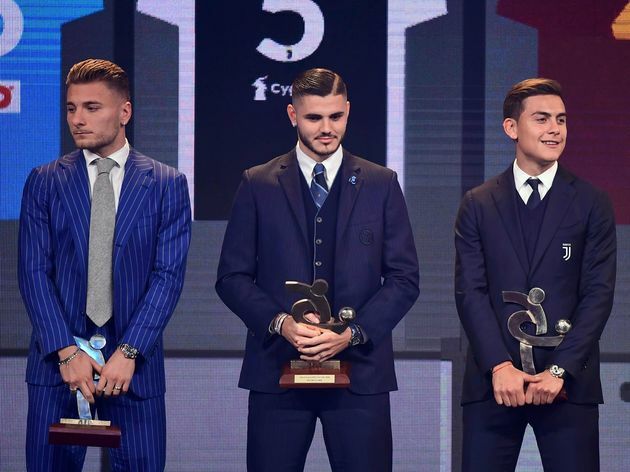 As per ​Football Italia, ​Icardi received the most votes from the members of the Italian players association (AIC) at the Gran Gala’ del Calcio ceremony to earn the accolade of being the named best player in the Italian top flight. Icardi was also included in the ​Serie A team of the year, which included a included stars from ​Inter, ​Juventus and ​Napoli such as Joao Cancelo, Giorgio Chiellini, Alex Sandro, Miralem Pjanic, Paulo Dybala and Kalidou Koulibaly.